The senior has waited a long time to earn a starting position, and seems primed for a big season. Name a position, and Nick Begg has probably played it for Washington State. He has been a running back, a receiver, an offensive lineman and a defensive end. But finally, Begg has found a home, at defensive tackle, where he will be counted on to help replace some of the massive production the team lost when All-American Hercules Mata’afa declared early for the NFL draft. Begg, a sixth-year senior, is recognized as one of the team leaders and will try to cause havoc in the Wyoming backfield when Washington State opens its season Saturday against the Cowboys in Laramie, Wyo. Begg was unstoppable in WSU’s spring game, registering four sacks, and followed that with a good fall camp. Finally, after years of waiting, he is set to be a starter. His patience has paid off. Begg, who played with teammate Kyle Sweet at Santa Margarita (Calif.) High School, originally planned on playing at Arizona State and was going to “grayshirt” by delaying his enrollment until after the season. But Begg said there were some coaching changes that caused him to change his mind about ASU, and he came to Washington State to visit his best friend from high school, River Cracraft, a receiver for the Cougars. “We talked about playing together, so I came up to visit him on his birthday and ended up coming here,” he said. The Cougars were happy to have him, but weren’t quite sure where to put the 6-foot-5, 253-pound Begg (now listed at 265 pounds). 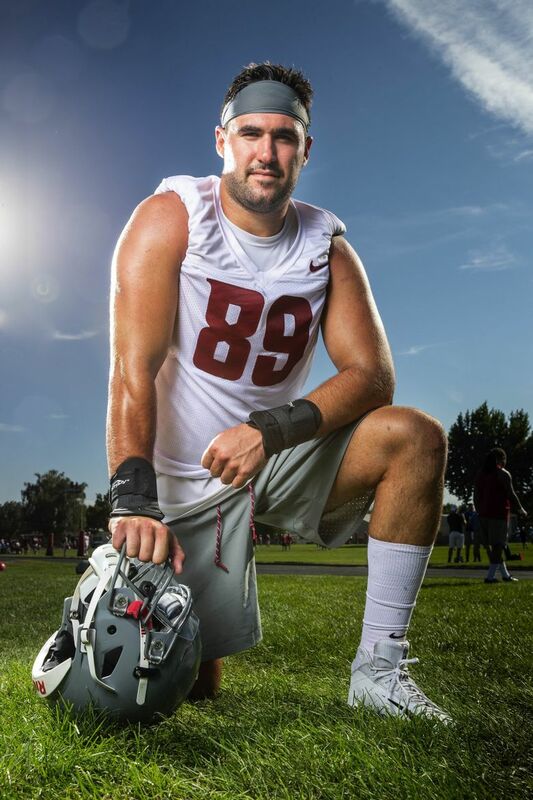 He played defensive end in high school, but WSU put him at inside receiver to start. He moved to fullback, then to the offensive line and was a defensive end as a sophomore. Begg was making his way up the depth chart, but at the start of fall camp last year he saw his name as a third-string defensive tackle. When Mata’afa, who had 10.5 sacks and 22.5 tackles for loss last year, was ejected against Washington, Begg came in and got his first career sack. He wants a lot more, but will have to beat linemen with his quickness as he is undersized at his position. Begg and linebacker Peyton Pelluer, granted a sixth year of eligibility, are recognized as the leaders of the defense. It’s a role Begg is happy to fill. Begg said moving to Pullman after living in big cities was a tough transition, but he has grown to love the small college town. Now he wants to finish his WSU career in style, starting with Saturday’s season opener. There is no relaxing now that he is starter.